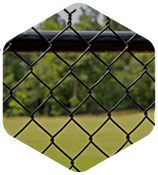 Tega Cay is a planned community in South Carolina that was deliberately designed to provide residents with easy access to best the area has to offer, which made it an obvious choice for an Allison Fence Company location. The name Tega Cay is Polynesian for “beautiful peninsula” and the town’s motto is “the good life.” Obviously, those who have chosen to call this small city home are looking for something special and we are working hard to provide locals with the fencing services they need to feel comfortable and secure. While the actual town of Tega Cay covers just a few square miles, it is ideally located just south of Charlotte, west of Fort Mill and north of Rock Hill, which provides residents with plenty of options for activities and entertainment. All it takes is a short drive north on I-77 to visit the Carowinds theme park which features a long-list of rollercoasters, water rides and other attractions for thrill seekers. Those looking for something a little more relaxed can spend the day at one of the area’s many golf courses, including the 27-hole course located right in town. Of course, what draws most people to Tega Cay and makes it such a popular place to live is its location right along the shores of Lake Wylie. This long and meandering lake covers over 13,000 acres and offers plenty of opportunities to enjoy the outdoors for residents of York and Catawba counties. In addition, the Piedmont Medical Center Trail, McDowell Nature Center and Preserve Charlotte are all located just a few miles away and provide additional places to explore and enjoy the warm weather. It is clear that the residents of Tega Cay, South Carolina know what they are looking for and want to enjoy the best life has to offer. That is exactly why we have been working to provide unbeatable residential and commercial fencing services. We understand the homeowners want to experience privacy and security while still enjoying a beautiful view of the local scenery. That is why we offer a wide range of chain-link, aluminum, steel, vinyl, PVC, wood and other fencing material options. 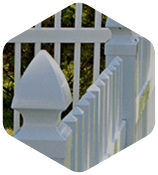 With access to the best in available products, you can install a custom fence that fits your needs. 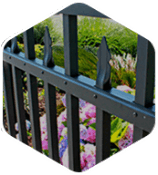 Area businesses also turn to Allison Fence Company for the absolute best in secure and durable custom fence and gate design and installation services. When it comes to protecting your business, inventory and employees, there is no cutting corners. Our experts have years of experience installing superior security fences that will secure your perimeter and provide you with control over who has access to the premises. 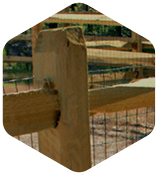 Perhaps best of all, our fencing solutions are designed with affordability and durability in mind. Whether you are a Tega Cay home or business owner, we know that you don’t want to have to worry about maintaining or replacing your fence, which is why we make sure our fences are built to last. Investing in the right products and expert installation services now can save you time and money. Allison Fence Company is proud to be a part of the Tega Cay community and we enjoy serving those through the Charlotte metropolitan area and the Carolinas. If you own a home or business in the area and are looking for the absolute best in cutting-edge fencing and gate solutions along with expert installation services, then give us a call today. 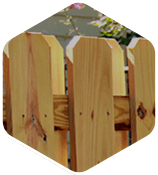 We look forward to meeting you and helping you upgrade your home or business with the perfect fence.